Join Paddy Power now and show your support for the Reds with Today’s Enhanced Odds 5.00 (4/1)! Make a simple £10 bet on Liverpool to get the better of Derby in the EFL Cup and scoop five times that in winnings. Bet on the Reds with Today’s Enhanced Odds before 19:45 BST (September 20), and then sick back and watch your money roll in when Liverpool thrash the Championship side. 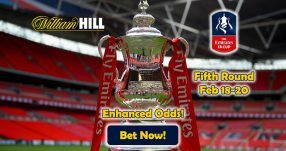 You’ll receive your winnings – if Liverpool win – based on the normal odds on the site, with the rest of the money coming in the form of Free Bets that will take the full amount to the advertised 5.00 (4/1) with Today’s Enhanced Odds. 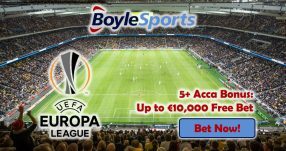 Note: only customers residing in the UK and the Republic of Ireland can qualify for Today’s Enhanced Odds! 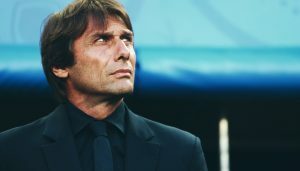 It is common for the big sides in the Premier League to rest their key players in the EFL Cup, and instead give their younger players a chance, as some managers deem it a ‘lower-level’ competition. However, Liverpool boss Jurgen Klopp won’t be resting his fit players for the match against Derby, as he wants to ensure they reach the final and lift the trophy this year, after finishing as runners-up against Man City last season. 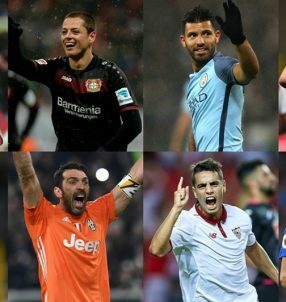 “In my opinion we only have strong line-ups. That’s good news. We will find a strong line-up. We won’t rest 100 per cent fit players,” said the 49-year-old Reds boss. So far this season, Firmino has already found the back of the net 3 times in 5 appearances overall, so he might come on to bag a goal if things don’t go according to plan. With the 24-year-old on the pitch, you’re sure that Liverpool will win the match against Derby. 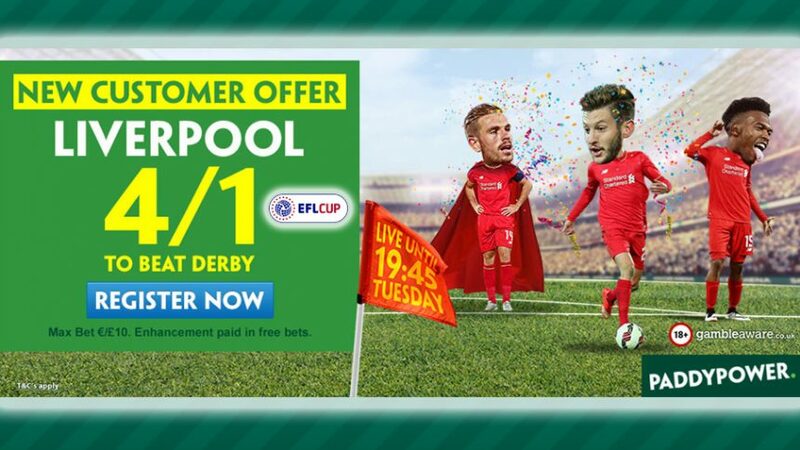 Open an account with Paddy Power today and place a wager on the Reds to get the better of the Derby with Today’s Enhanced Odds! Make an easy £50 with Today’s Enhanced Odds!